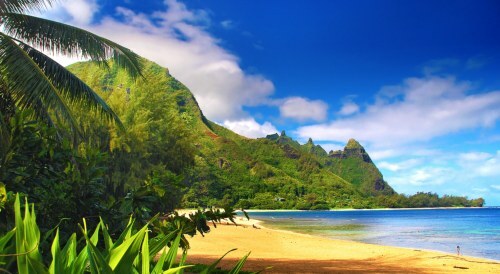 WestJet is showing flights from Edmonton to Honolulu, Maui, Kauai, and Kona, Hawaii for $360 CAD roundtrip including taxes. 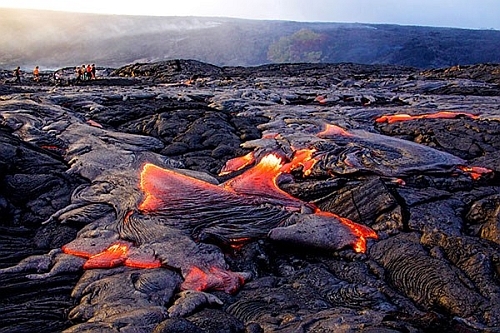 Most of the cheaper dates are in April 2019, although there are a few in January, February, and March 2019. 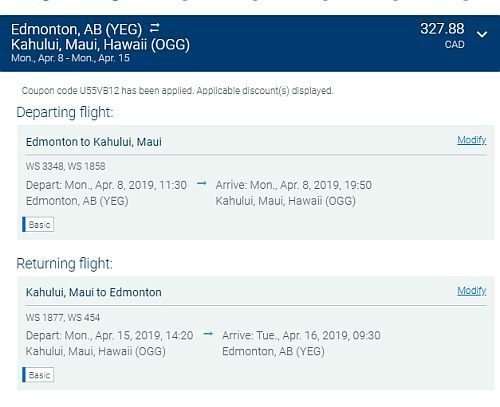 Most flights have 1 stop in Vancouver each way, although there are a few non-stop flights from Edmonton to Maui for $420 roundtrip. NOTE: If you are subscribed to the WestJet Rewards newsletter, they may have sent you a '15% off' code that brings the price of these flights down by another $30 or so (see details below). 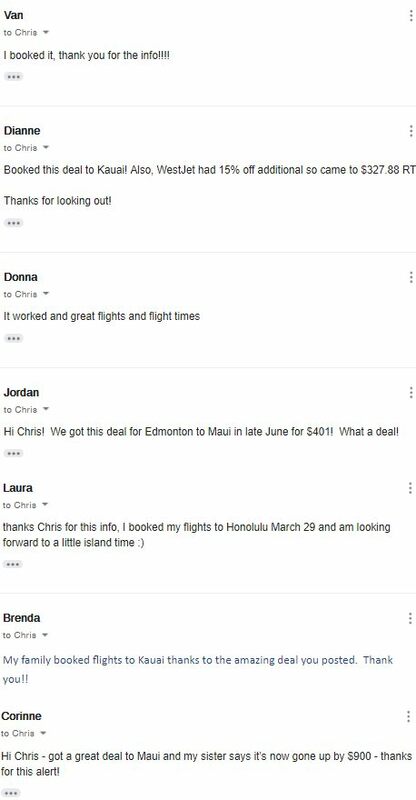 Update 1/7 - Air Canada has now dropped the price of their flights from Edmonton to Hawaii into a similar price range. See update below. 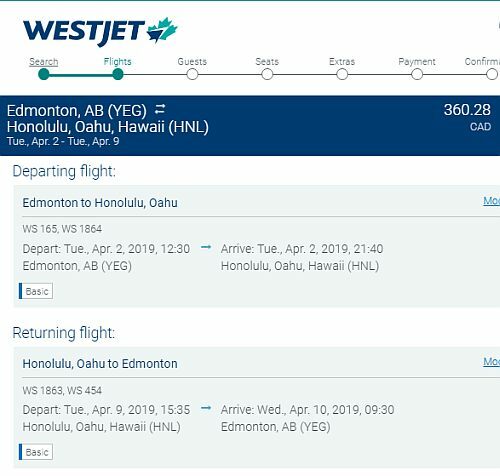 If you are subscribed to the WestJet Rewards newsletter, they may have sent you a '15% off' code that brings the price of these flights down another $30 or so. 3. 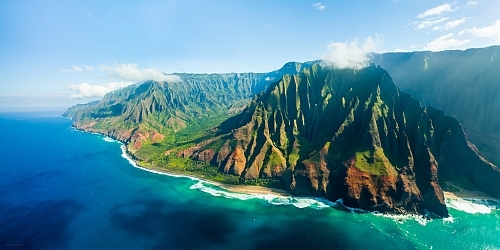 Search for a flight from Edmonton to your destination in Hawaii. Use the same dates you found on Google Flights with the links above. 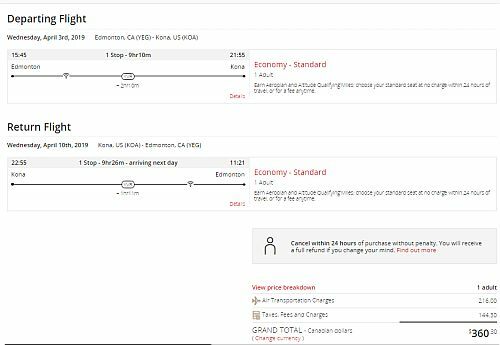 Select your flights and click through to the Air Canada website.